The Plastic Bank is a for-profit social enterprise that makes plastic waste a currency to help reduce global poverty while stopping plastic from entering the ocean. 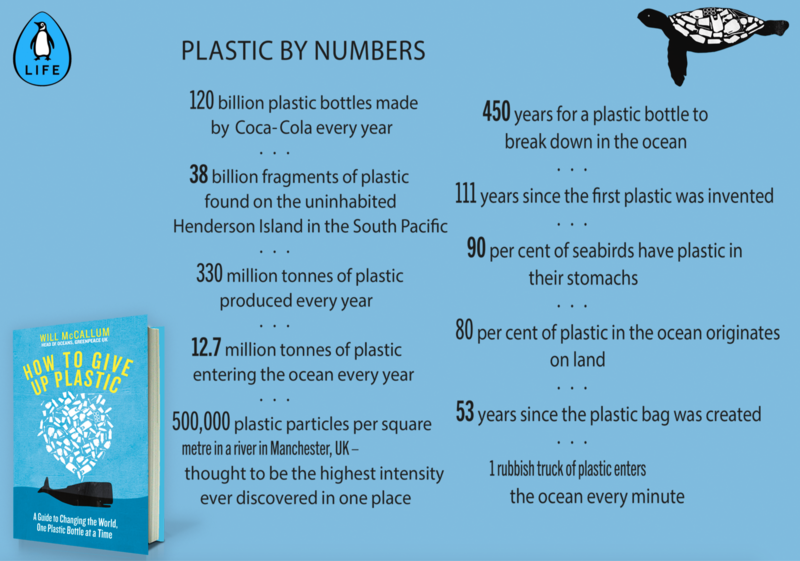 Plastic by numbers (facts and figures) by Will McCallum, head of Greenpeace UK Oceans. Amy explains the reasons why we shouldn't be hitting the bottle - a short film.